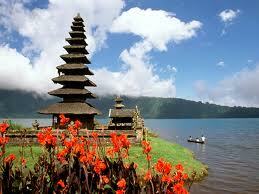 Bali is Indonesia’s most popular tourist destination. A stunningly beautiful and compact island which you can drive completely around in a day, Bali attracts visitors from all over the world with its friendly charm, exotic culture and lush scenery. Often known as the ‘Island of the Gods’, Bali is a volcanic island complete with fertile paddy fields, tranquil lakes, tropical forests and idyllic beaches. There are no direct flights into Bali from the UK, however many popular airlines operate indirect flights via Europe or the Far East to this beautiful island. Bali is rich in culture, the island is dotted with Hindu temples and daily rituals and ceremonies are in evidence with roadside offerings of food and flowers. As well as a plethora of local festivals, there is a thriving arts scene – Ubud is popular for traditional Balinese culture, craft shops and music and dance performances. It is also the best location to sample the most delicious Balinese cuisine with an amazing choice of cafes and restaurants. The somewhat crowded resort of Kuta attracts hordes of tourists for the raucous nightlife with narrow alleyways jam-packed with bars, budget accommodation and market stalls as well as its golden sandy beaches and surf. Head further along the coast to the upmarket resort of Seminyak with its luxurious boutique hotels and a more sophisticated clubbing scene. The lakeside temple of Pura Ulun Danu Bratan is well worth a visit. Built in the 17th century on a small island, the Hindu-Buddhist temple is an offering to the goddess of waters, Dewi Danu. The temple enjoys a stunning setting surrounded by tranquil gardens and misty volcanic mountains and is reached by boat. 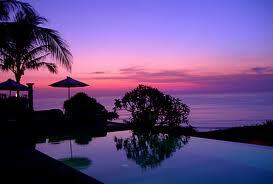 Give our flight search box a try if you're looking for cheap flights to Bali, Indonesia. There are usually great deals on low cost flights to be found throughout the year however the cheapest flights tend to book up quickly so don't delay if you're after the very best price. If you're looking for a late deal, we can also find you the best value lastminute flights.